High Desert Frameworks! will open at 10am on Friday and First Friday Art Walk starts at 5pm. We close around 6:30-7:00pm pm but the rest of downtown will be "jumping" until 9pm or later. Stop on by and enjoy some refreshments, great conversation and view some great new art, crafts and frame samples! Feel free to bring in a framing project for a free frame design consultation. High Desert Frameworks! Your one stop shop for digital printing, scanning and custom framing. High Desert Frameworks! will open at 10am on Friday and First Friday Art Walk starts at 5pm. We'll close at 6:30-7:00pm pm but the rest of downtown will be "jumping" until 9pm or later. top on by and enjoy some refreshments, great conversation and view some great new art, crafts and frame samples! #love - Save 25% on your frame plus a free 8" x 10" digital print for your sweetheart! To reserve your Hardwood Photo Frame visit: Love is In The Air! #love discount ends February 14, 2018 at 11:59PM. Use promo Code #LOVE at checkout to receive 25% off your photo frame and get your digital image printed and framed for FREE. For more information on custom picture framing options, high resolution scanning, fine art and custom digital printing please visit us in downtown Bend Oregon location or reach out to us by phone or on the web! We are the choice in Bend picture framing and all of Central Oregon. FOTO FRAME FRIDAY. Save 20% - Plus get a free 8x10 digital print! It must be FOTO FRAME FRIDAY!!!!!! Save 20% off our photo frames and get a free 8x10 digital print! Foto Frame Friday - 20% off our line of unique photo frames using recycled Douglas Fir wood from destroyed homes in the Midwest. Or chose from our hardwood cherry and walnut frames. These photo frames are gorgeous, fantastic and environmentally friendly. Upload your digital print to our website and we will print and frame it for you free! In store Offer valid Friday January 19, 2018 from 10am to 5:30pm. Online offer valid today until January 19, 2018 at 11:59PM (pacific time) Friday! Visit our online store and click on the FOTO FRAME FRIDAY OFFERING To receive the 20% and the free 8" x 10" photo print you must use FOTOFRAMEFRIDAY in the promo code section at time of check out. From our supplies website: Each stick of moulding is hand-selected for its character unique to urban wood as well as the story it carries from the neighborhoods from which it came. These are trees that grew on our streets, in our yards, in our parks and in our urban areas. The wood’s character is then enhanced when finished and rubbed out by-hand using petroleum-free finishes. In this process we are reviving the hand-made art form seeming lost from our culture. To complete this Made-In-The-Midwest product, the glass, the paper insert and the backer are also made in The Midwest. Call us at 541-647-2191 for details or drop us a line at Contact us! In store Offer valid Friday January 12, 2018 from 10am to 5:30pm. Online offer valid today until January 12, 2018 at 11:59PM (pacific time) Friday! Save The Date and join us for our "Once in a lifetime Deals" during the annual summer Sidewalk Sale in Downtown Bend! - Save an additional 10% during our 9am-10am presale hour! Special deals on prebuilt frames (small, medium and large), photo frames, digital printing deals and more! Visit our Facebook Event Listing subscribe! Upload your digital images to our website by midnight on Sunday, July 30th and we will print your images on Epson premium photo luster paper using Archival HDR Epson Inks for pick up High Desert Frameworks on Monday July 31st! Touch up, cropping, color enhancements and special stuff if you desire are free. We'll make your images stunning or we won't print them! You must use promo code "Sidewalk Sale" in your upload to qualify. Free reprints are of the same image purchased. Select "I'll pay when I pick up my order at HDFW's design studio" on the form. Limit of 1 each of the 3 deals listed above. Standard pricing for 11x14 is $15.40, 8x10 is $8.00, 5x7 $6.00, and 4x6 is $5.50. Local pick up only. High Desert Frameworks sidewalk sale is part of the Downtown Bend Business Association'sSidewalk Sale in Downtown Bend! The second annual High Fiber Arts Symposium April 1, 2017, at the FivePine Lodge and Conference Center, Sisters, Oregon. A full-day gathering to explore the evolution, inspirations and challenges of artists and textile art forms. The second annual High Fiber Arts Symposium April 1, 2017, at the FivePine Lodge and Conference Center, Sisters, Oregon. Explore Trisha Hassler’s approach to evolution and growth and how she keeps her creative work from going stagnant. Essentials in Framing Textiles – Myrna Dow – High Desert Frameworks! The 1:30pm Trace Monotype Workshop IS FILLED as of 7 am, 3/3/17. Please visit other offerings for 1:30 Workshops. Learn a quick, simple method to print your own fabric using Akua (soy-based) ink. Patricia Freeman-Martin is a mid-career mixed media artist working in printmaking, painting, and artists books. Her resume includes museum and gallery exhibits, published in High Desert Journal, affiliated with Atelier 6000, Bend, OR and Hood Avenue Art in Sisters, OR. 1:30-3pm Session: Value-You Cannot Create without It! Value, You Cannot Create Without It! The class will create a value scale with pencil. Using color chips and/or cloth we will learn how to identify the values. Ebony or B4 or B6 drawing pencil. 7” by 10” sketchbook or drawing paper. A fourth generation Oregonian, Judy Hoiness holds two degrees in Art, a Bachelors degree and a Fifth Year from Portland State University and a Masters degree from Syracuse University. She recently retired as an Adjunct Art Faculty from Central Oregon Community College. Her teaching career has spanned over thirty-six years. Working in watercolor, mixed media and acrylic she has garnered over 37 awards in international, national, and regional exhibitions. Learn how to print designs on almost any type of fabric using Thermofax screens. Detailed images can be produced in a matter of minutes! Laura Jaszkowski is a textile artist who loves creating art quilts and embellished garments using a variety of techniques and materials. Why do artists use found objects and images in their work? Explore the virtues of transforming material destined for the garbage into “new” wearable art. Hand sewing skills will be useful for a small class project. Scavenger/artist: two- and three-dimensional mixed media paintings/found object sculptures. Creator of Castaways clothing: refashioned clothing from unwearable knitwear/worn out vintage clothing. ”Saving the planet — one ugly sweater at a time”. 1:30-3pm Session: Make It Digital! Interactive demonstrations and discussions ranging from “how to” create several digital projects to using what you’ve already designed in your textile work. Step-by-step directions for creating “mash-up” textile pieces used for distinct types of images. Create generic abstract designs and then “repurpose” in a variety of ways by manipulating colors and/or adding new layers. Create digital “sgraffito”—an artistic technique created by scratching through layers to reveal an underlying image. Using brushes and erasers to replicate standard surface design techniques textile artists frequently use when creating interesting looks fabric. Printing techniques using various types of textiles such as linen, percale, silk, twill, or sateen. Sharon has a passion for fabric and design—and creates her fiber art on both a design wall and a computer. Her quilts have appeared in the Summer 2013 edition Art Quilting Studio, and more recently, the February/March 2017 edition of Quilting Arts Magazine. Locally, her work has also been featured at both the Twigs and Clearwater Galleries. Sharon is a member of the Central Oregon Studio Arts Quilt Association (SAQA). We are a small wearable art company in Central Oregon. We use new, hand dyed and/or upcycled fabric and roving to create our unique one of a kind art pieces. The openness of our company name, The Way We Art, gives us liberty to pursue our next creative impulse. We invite you to check our website regularly to finding out what that might be! Learn to make your own soap cozy with wool roving and embellish with silk, alpaca, mohair and yarn all in one process. Owner of Handstitch Studio, Sarah describes herself as “a wife, a mom, a wannabe crafter lives to honor the little things in life. How I have stitched together my very own life, by hand. simple, special, extraordinary moment.” Knit. Crochet. Felt. Handspun. Hand-dyed fiber/yarn. Painted cloth. Sew. Quilt. Beads. Textile. Mixed Medium Art. Explore the thoughts, ideas, and process of your imagery/composition. Participants are encouraged to bring work this is in progress or finished to discuss technique or processes that may or may not be the best resolutions for anticipated results. Master Printmaker Patricia Clark founded A6 (also known as Atelier 6000) in 2007. Clark moved to Bend to “retire” after a lengthy career as an arts educator; most recently, Clark had served as Chair of the Art Department at CSU: Long Beach. Explore items that have no use and make them useful again. Knowledge of materials and tools used for upcycling, breathing new life into old things. Sewing since the age of 8, Allison Murphy has explored a variety of artistic endeavors and day jobs, but has landed in Bend, Oregon as a small business owner with an artistic endeavor turned day job/career. Murphy owns and operates utilitu sewing + design, an audacious alternative to traditional sewing establishments that offers alterations, repairs, custom sewing, and original design. She is a self taught seamstress and moonlighting graphic designer. She is a maker and a do-er. Learn to carve a block and experience printing techniques on fabric with lots of examples. Lab fee includes all materials and a dish towel to print on. Bring your carving tools IF you have them. Valori is a professional quilter, author, fabric & pattern designer, painter and photographer. Amongst these she co-owns The Stitchin’ Post in Sisters, Oregon. She came into quilting through osmosis having a mother who shared her love of quilting and opened The Stitchin’ Post in 1974. Valori’s love of photography lead her to a bachelor’s degree in fine arts focusing on black and white photography. Is a Central Oregon artist. Following a career as a graphic designer, Helen turned her attention to fiber arts. In addition to modern and art quilts, Helen is known in Central Oregon for her work designing new vestments when arson fires destroyed or damaged virtually all of Trinity Episcopal Church’s altar linens and vestments. Learn to make your own flower brooch/pin with wool roving and embellish with silk, alpaca, mohair and yarn. Online Event: Ready Made Photo Frame and 8" x 10" digital Print Deal! Digital Printing Deals from High Desert Frameworks! Live Your Life ~ Frame Your Experience! and receive one 8" x 10" digital photo print Free! It's doesn't get any better than that! Visit our Deals Page for complete details and to upload your image. The Holiday's are right around the corner! Purchase a Ready Made Frame from High Desert Frameworks! and take an additional 20% off your first Digital Print. Purchase Custom Framing Services from High Desert Frameworks! and take an additional 30% off your first Digital Print. All orders must have the PROMO CODE OF "Vacation"
and bring in your flash drive or SD Card! We'll take care of the rest! Digital Deal valid through September 30, 2016 or until sold out. Want more information on our Digital Printing Services? If so, give us a call at 541-647-2191, contact us by email or visit: Digital Printing Services. ** The Fine Print: New orders only and must be submitted via our upload site or in store no later than the end date of the promotional as stated above. There is no limit to the number of images submitted. Discount must be established at the time of order and the maximum discount per per order is $100 and maximum discount per customer is $300. You can not combine different orders for additional discounts. This offer can not be combined with any other discount or offering from High Desert Frameworks! Payment in full is required when order is submitted. If uploading images to our site, we'll call you to discuss pricing and obtain payment prior to printing/framing. For BEST Results: Upload images with resolution of 300 ppi in a TIF or JPEG format saved with Adobe RGB (1998) ICC color profile OR ProPhoto color profile. sRGB is ok but you will get better results from a Adobe or ProPhoto color profile. Call us if you have questions. 541-647-2191. Questions? : Visit our Digital Printing site at: Digital Printing / Photo Enlargement Services or call 541-647-2191 or visit Contact Us! Why High Desert Frameworks? We print on archival Epson Premium Luster Photo Paper using our in-house Epson Stylus Pro 9900 or Epson Sure color P800 with Epson Ultra Chrome HDR ink. If you place our reprints next to a big box mindless robot photo enlargement service you most certainly will notice the difference in quality, color, photoshop and cropping services. ** When will my print be ready for shipping or pick up? We will contact you by email and/or phone if we have any questions and when your print is ready for shipping or pick up. Purchase are completed within 2-3 business days and mailed. If the weekly deal allows for pick up orders then you can visit us during our normal hours. All High Desert Frameworks orders subject to our terms and conditions as well as stock on hand. Reduced shipping and handling charges of $5 or less per item is subject to change for future orders. High Desert Frameworks! is proud to help sponsor the "Wish Upon A Card" project. High Desert Frameworks! and TruVue Glass. The unveiling of the Michael Miller Fabrics Challenge Fabric Postcards. Refreshments provided; Open to the public; FREE! For photos of last year’s entries, see photos here . In this, our 10th year of the Wish Project, the Sisters Outdoor Quilt Show Board of Directors are proud to announce the creation of theSOQS Visual Arts & Design Scholarship fund. Through this fund, a portion of the proceeds from SOQS’s Wish Upon A Card will benefit Sisters High School students pursuing Visual Arts and Design higher education. You are invited to donate fabric postcards to the 2016 Sisters Outdoor Quilt Show Wish Upon A Card fundraiser. Once again through the generous sponsorship of Michael Miller Fabrics, we offer Michael Miller Fabric Challenge, an optional challenge which offers cash prizes to top winners. See more, and contest rules on our website. Each year, fabric post cards are selected by jury and framed by a generous donation of our FRAMING SPONSOR High Desert Frameworks! for our silent auction. Postcard size artwork donated by artists from around the world are displayed in Sisters during Quilt Week July 3-9. You may purchase one of the framed original artworks at auction. Unframed fabric postcards, perfect for mailing, go on sale July 5th. Fiber artists from around Central Oregon demonstrate, exhibit their work during the 13th Annual Fiber Arts Stroll. Artists are on hand showing you how it’s done and some may even have a project you can try yourself! Selected artists demonstrate, display and can sell their artwork or craft in sponsor businesses. Artists will be selected on the originality of the work and a “fiber-arts” theme. The art stroll is a kick-off event for the week of festivities for the 41st Annual Sisters Outdoor Quilt Show. The art stroll draws visitors from the Portland area, Sisters, Bend and Redmond as well as some of the 1,300 students in town for the Quilters Affair classes. Please support our Stroll sponsors: Clearwater Gallery, Common Threads, Hen’s Tooth, Paulina Springs Book Store, and Sisters Coffee Company. If you are a fiber artist interested in participating in this premiere Arts Stroll in the future, please contactkaren@SOQS.org or 541-549-0989. CALL TO ARTISTS: The Sisters Outdoor Quilt Show is seeking interested fiber artists to participate in the 13thAnnual SOQS Fiber Arts Stroll 12 p.m.-4:00 p.m. Sunday, July 3 in downtown Sisters. The event is free and open to the public. Deadline for general entries is April 15. For more information about the art stroll or to receive an entry form, please contact Karen Koppel 541-549-0989 or karen@soqs.org. Wish Upon A Card Reception: Join us for the Reception to honor all “Wish Card” donors and kickoff the sale of the individual (unframed) Michael Miller Challenge Fabric Postcards. Wish Upon A Card project, a silent auction, sealed bid auction, and sale of donated fabric postcards, is a Community Partner fundraiser sponsored by: Michael Miller Fabrics, High Desert Frameworks!, St. Charles Radiation Oncologists, and TruVue Museum Glass. Sisters Outdoor Quilt Show (SOQS) initiated the fundraiser in 2007 to benefit Wendy’s Wish of St. Charles Foundation, a local non-profit organization that assists with non-medical expenses for people undergoing cancer treatment in Central Oregon. Thanks to our sponsors, the many artists who created and donated cards and to all those persons who purchased these outstanding pieces of artwork, SOQS has donated more than $100,000 to Wendy’s Wish over the past years. 1700 W. McKinney Butte Rd. A big thank you for the sponsors -- Sisters Outdoor Quilt Show, St. Charles Cancer Center, Tru Vue, Michael Miller Fabrics and Myrna Dow at High Desert Frameworks. On Sunday, July 5, noon – 4 pm fiber artists from around Central Oregon will demonstrate, exhibit and sell their work during the 9th Annual Fiber Arts Stroll. More than thirty fiber artists will share their textile arts including quilts, weaving, basketry, fabric dying and much, much more. This is the most unique art stroll in Sisters – the artists are on hand showing you how its done and some may even have a project you can try yourself! Art stroll maps will be available at the Sisters Area Chamber of Commerce, the Stitchin’ Post or participating businesses. Myrna of High Desert Frameworks! will display and discuss custom framing quilts, fiber, fabric wrapped mats and frame design techniques. Myrna's exact location is TBD. The Stitchin' Post or the Sisters Area Chamber are two great places to start your art stroll and you can pick up a stroll map. For more information visit: Around the Block Fiber Arts Stroll or call High Desert Frameworks! at 541-647-2191. Wish Upon A Card project, a silent auction, sealed bid auction, and sale of donated fabric postcards, is a Community Partner fundraisersponsored by: Michael Miller Fabrics, High Desert Frameworks!, St. Charles Radiation Oncologists, and TruVue Museum Glass. Foto Frame Friday - 10-20% off our line of unique photo frames using recycled Douglas Fir wood from destroyed homes in the Midwest. These photo frames are gorgeous, fantastic and environmentally friendly. Offer valid Friday Event day only from 10am to 5:30pm. Archival 5" x 5" Photo Print from your Instagram (or other) image framed in a contemporary black wood photo frame. Sales runs Today and ends Saturday, March 28, 2015 or until sold out. Saving up to 45% off retail price! For full details visit our deals page at High Desert Frameworks Deals! Foto Frame Friday - 20% off our line of unique photo frames using recycled Douglas Fir wood from destroyed homes in the Midwest. These photo frames are gorgeous, fantastic and environmentally friendly. Online Deal Event of December 8 through December 13, 2014 at High Desert Frameworks! 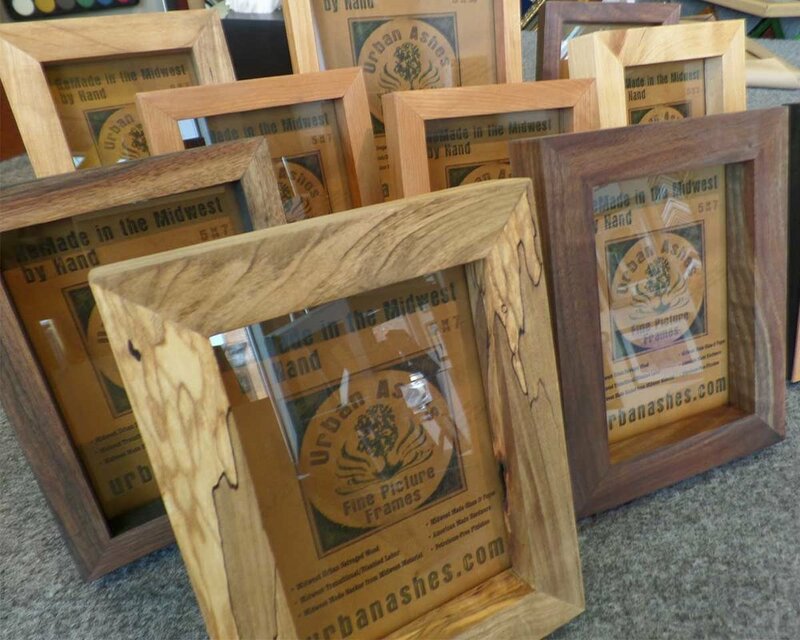 The Ultimate Photo Frame from High Desert Frameworks! Prisma Perla Tangerine Photo Frames -- Choose from 3 sizes! Purchase all three sizes and save 20% plus $10 in shipping and handling fees! Wish Upon A Card - A Celebration! Sharing Love on Foto Frame Friday! Drop in, select one or more of our unique Photo Frames in stock and you will receive 20% off your purchase. No Worries we'll make it easy to pick from our selection of over one hundred special photo frames in stock ! Not only will you save 20% but you'll get our our personalized service, great selection, value and expert advise. In cooperation with the Sisters Outdoor Quilt Show and a wonderful new sponsors TruVue, High Desert Frameworks! is proud to participate in our annual fundraiser for Wendy's Wish. High Desert Frameworks! is honored to feature work by Central Oregon artist, Grace Bishko. The exhibition will include nearly 40 years of work including original oils, acrylics, watercolors and other works on paper. High Desert Frameworks! is located in downtown Bend Oregon. Copyright © 1999 - 2019, High Desert Frameworks! INC. All rights reserved.